Are physical greeting cards dead? Technology has simplified many things for us. At the click of a button, we can get anything. As with everything else, greeting cards have taken a new avatar as e-cards. They are not only simple to create and send, but also cost nothing. These days, we are lazy even to visit an online greeting cards site and hence just a ‘Happy birthday’ or ‘Happy anniversary’ message on the Facebook wall seems good enough. Why take even that much effort? Sign up with some app and that will automatically send wishes for all our friends, on their birthdays. This is easy and takes absolutely no efforts on our part. What will the person who received the automated message think? What is this technology doing to us? Just fifteen years back, we used to maintain diaries with the birthday lists of all our friends and family, we used to visit greeting card shops and select cards for hours together, we used to plan in advance and send greeting cards by post and what not. We used to take so much efforts and obviously the person who received the greeting card was so thrilled and happy. Because they too knew the amount of efforts taken by us. They knew that we considered them important enough to take so much efforts. They knew that we care for them and love them. Of course, there are physical greeting cards even these days. But when was the last time you received one? Or, when was the last time you sent one? Don’t we consider wishing people online on social networks/email an obligation to perform? A duty to complete? A task to dispense with, as soon as possible? What’s the fun in that? What’s the value it creates? Nothing can replace the joy of getting a physical greeting card from a loved one and saving it for eternity to remember the happy moments in one’s life. One look at the handwriting of a loved one (on a greeting card) after many years is sufficient to bring back all the good old memories. Can we say the same about electronic cards/Facebook messages? Do people even revisit their e-cards and Facebook messages? Of course, physical greeting cards are not dead. But the attitude of people towards them is slowly dying. No, they have not lost their value. People have become plain lazy or too busy. Next time when there is a birthday or anniversary of a loved one, try sending them a physical greeting card by post/in person. They’ll be thrilled beyond your imagination. Quite possible. I hope they don’t. A lovely post! The physical greeting cards have the personal touch added to them and both for the one who gives and the one who gets it, leaves a lasting memory! Anything which involves efforts is always valued. Of course, the personal touch offered by a physical greeting card is unmatched. Selecting the card and sending it by post is something which is fading but has not died yet.I still see school and college going kids at the galleries searching for a card.Maybe we who have crossed that stage stopped sending the cards but the students still buy and give their friends,may not by post but by hand. I still have those card which was given to my friends in the school and colleges.After that it is always mails,SMS and now FB…. So, teenagers still exchange physical greeting cards. No wonder there are so many greeting cards in the shop! Nice post. I used to go to Odessey every month for buying cards. Took so much time to select. My diary was always in my handbag and whenever I went to Adyar, check my diary and buy cards accordingly. Now, I go there only to buy gift articles/books. After a long time I sent a grihapravesh car to my cousin. She was thrilled. She said she will keep it forever! It is sheer laziness on our part, nothing else. Selecting a greeting card is fun, isn’t it? I too didn’t mind taking a long time looking at the various cards in display and selecting one from them, back then. But, that practice is forgotten today! I too wonder if people have become so busy that they can’t even call! Even this is fine, there are some who send a link to their online wedding invite, don’t ever call and are angry with us if we don’t go! The joy of selecting the card, writing 100s of words on them, and giving it along with gift can never be replaced…Ofcourse, as you say, these days we hardly receive them. I don’t know why, I like giving cards but don’t like receiving them! So, I don’t have a collection of the few greeting cards I received. Good that you save the cards. It’s a great feeling to revisit them all along the journey of life. Yeah, but then Online world is at least letting us be in touch of some old friends. If not for the social networks, there would have been no contacts at all. I heard that someone opposed the concept of the mother’s day (in the early part of twentieth century) because they thought greeting cards were undermining the spirit of completely hand-written notes! How times change! Nice topic DI! As for me I was always lazy when it came to wishing other people on their birthdays, leave alone send them cards! I had to make a huge effort to remember the birthday! 🙂 I don’t send electronic greeting cards either and shamefully don’t open the ones others send me!! There, I have confessed to something quite terrible! However, now because of facebook I make an effort to wish people but often I find myself missing birthdays, even on fb! But after fb I have wished more people in the last one year than I have wished in my whole life!! I think my situation is quite similar to yours. I too don’t wish people much but when I receive so many wishes, I feel guilty of not wishing others 🙁 I would want to wish certain people whom I respect, and properly at that. i believe even the e-card has become a thing of past today!!! I think such cards are still available, but we don’t buy them. Ahh I remember buying cards and using stickers and quotes and colored pens!! I use to make so much effort! people are getting lazier and lazier..even writing on someone’s wall seems a huge effort. Thanks for all your feed back ! I got a glimpse of the reality as i was planning to make a business in Greeting cards! 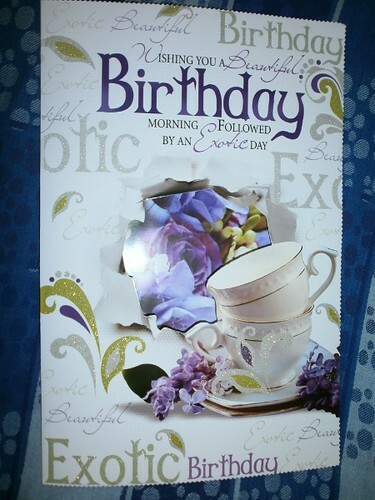 The celebration of any one’s birthday feels complete when he/she receives birthday greeting cards. In many cultures, the cards have become part of tradition. The usage of the printable versions has not diminished significantly even after the advent of virtual cards. Recently i ordered one via PostMyGreetings site where you can select and customized card and send them to all across india for free.